A soft accent light and bug zapper in one, this Solar LED Light & UV Bug Zapper by Pest-B-Gone™ works smarter—completely powered by the sun! The efficient, environmentally friendly solar light utilizes state-of-the-art technology to illuminate the bright white LED bulb while powering the bug zapper’s purple LED light without need for wiring or electricity. 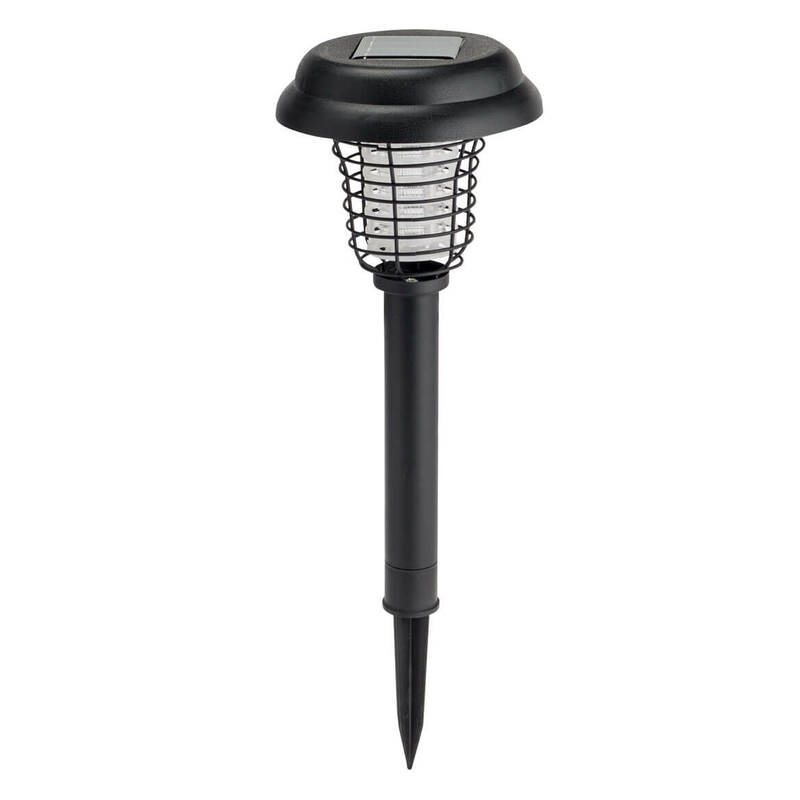 Quick and easy to install; simply stake in the ground to illuminate walkways and gardens while controlling mosquitoes and pests. 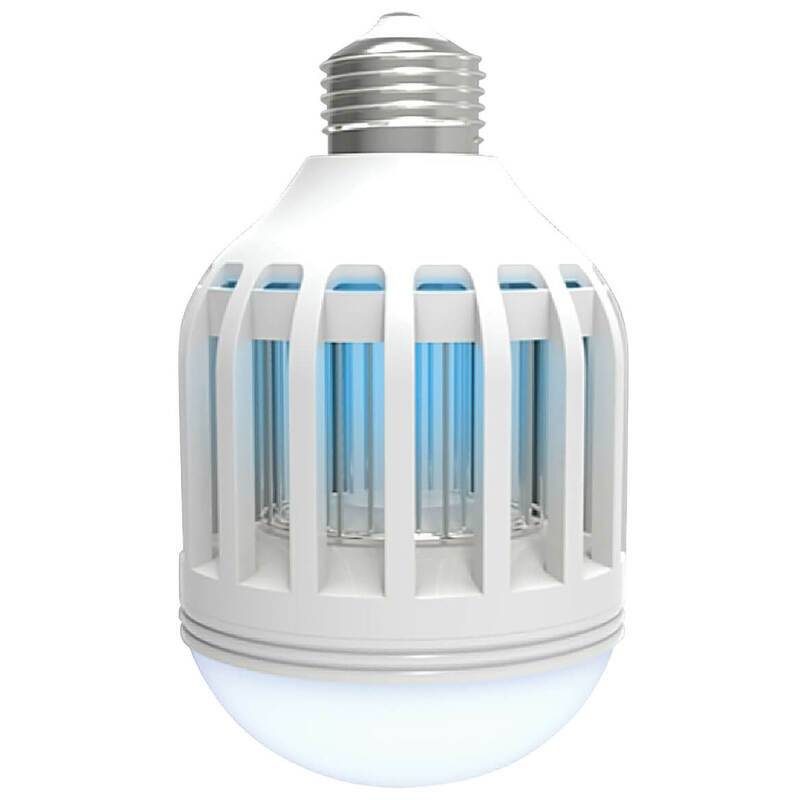 Bug zapper light includes dusk-to-dawn sensor so it automatically activates at night and shuts off at sunrise. Uses 1 AA Ni-Cd rechargeable battery (included); operates for at least 8 hours when solar panel is fully charged in direct sunlight. Bug zapper features metal safety grill and internal translucent finger shield. Plastic, metal. 5 1/2″ dia. x 12″ high; includes 4″ long ground stake. Safe, non-toxic spider traps attract and contain spiders for no-mess, no-touch disposal! Easy-to-assemble “no exit” boxes feature irresistible bait that lures spiders in but won’t let them out. Set includes 4 spider sticky traps. 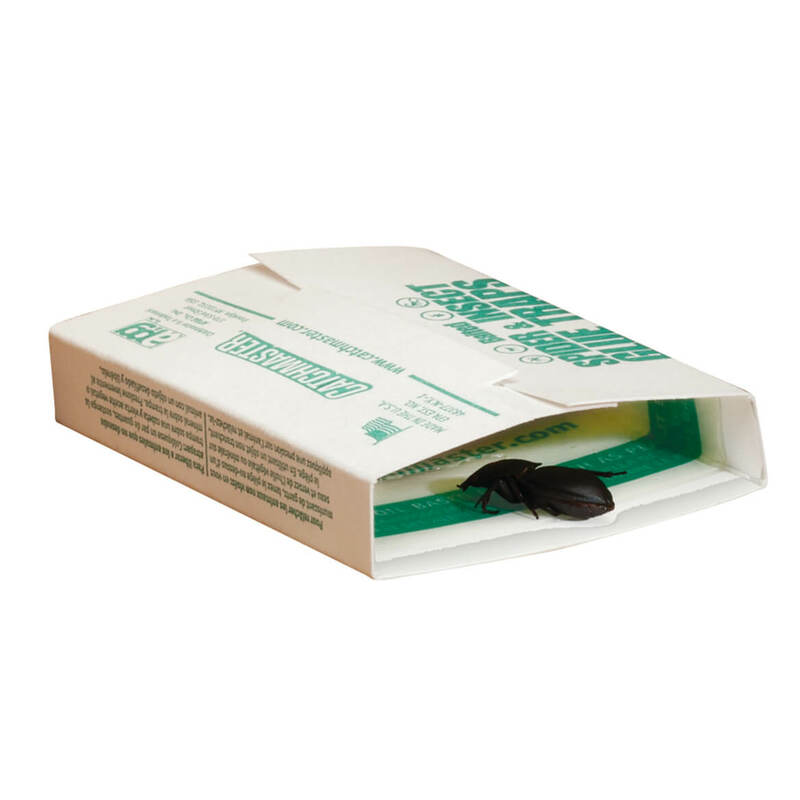 Each spider glue trap lasts about three months. Measures 3 1/2″ long x 2″ wide x 1 3/8″ high. 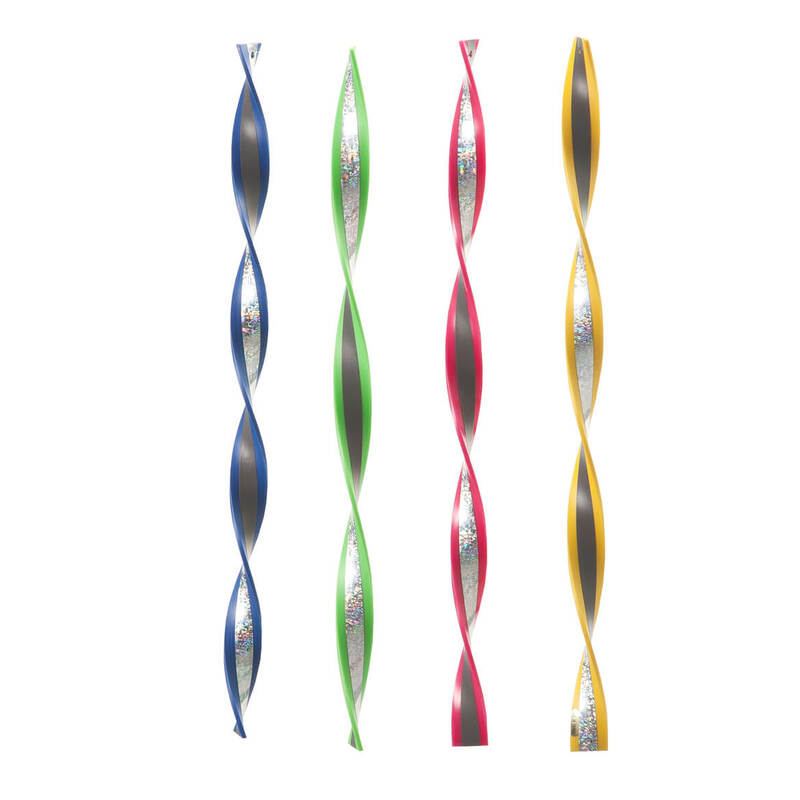 While these holographic spiral bird deterrents spin in the wind, their reflective mylar flashes in the sun—and the bright flicker scares birds away without harm or hassle. A simple, effective way to deter pest birds from gardens, orchards, sheds and patios, the colorful bird repellent spirals are also wonderfully decorative! Set of 4 bird scarers includes yellow, red, green and blue spirals, plus cotton string for hanging. Each, 15″ L.
Simply plug this insect zapper into any electric outlet to rid your home of pesky flying insects! Attracting flies, gnats, fruit flies and mosquitoes with its high-powered light, the plug-in zapper by Pest-B-Gone™ traps and kills bugs on contact—protecting your family and pets from toxic chemicals, messy sprays and unpleasant odors. 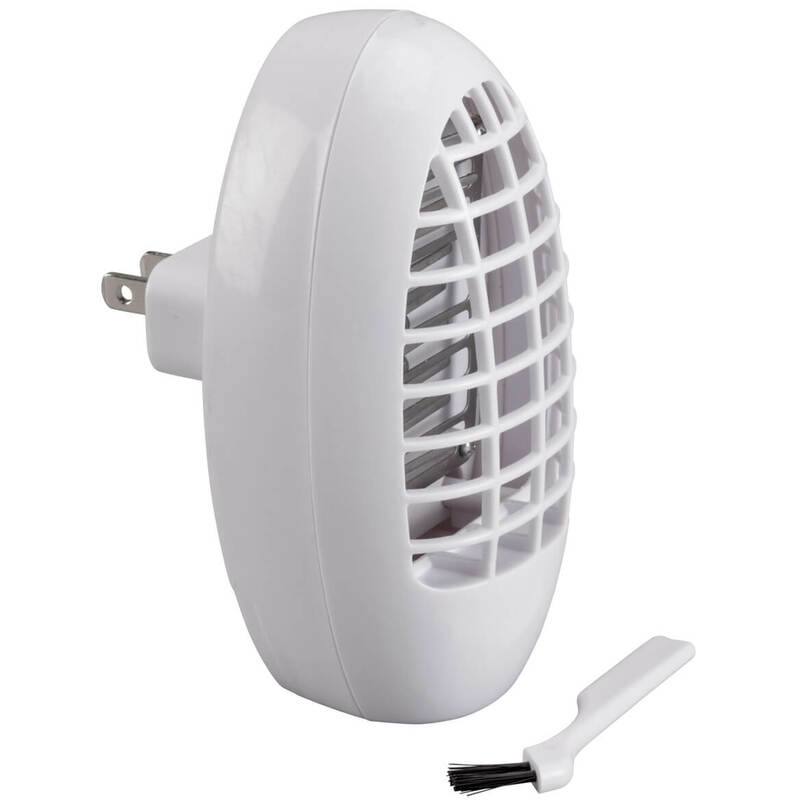 Designed exclusively by Pest-B-Gone™, the white plastic fly zapper features a safety grill cover, removable catch tray for convenient disposal of bugs, and a brush for easy cleaning. ETL listed for indoor use. AC 110V, 1.5 W, 50/60HZ. 5″ long x 2 1/2″ wide x 2 1/4″ D.
This adjustable Squirrel Baffle wraps easily around any bird feeder pole or hanger—creating an obstacle squirrels can’t get around, over or under (EVER!). Allowing your feathered friends peaceful dining and plenty to eat, the durable, weather-resistant squirrel guard is a simple, harmless way to keep squirrels out of most any bird feeder. It’s constructed of flexible plastic and includes metal brackets for easy mounting. Squirrel deterrent measures 16 1/2″ dia. 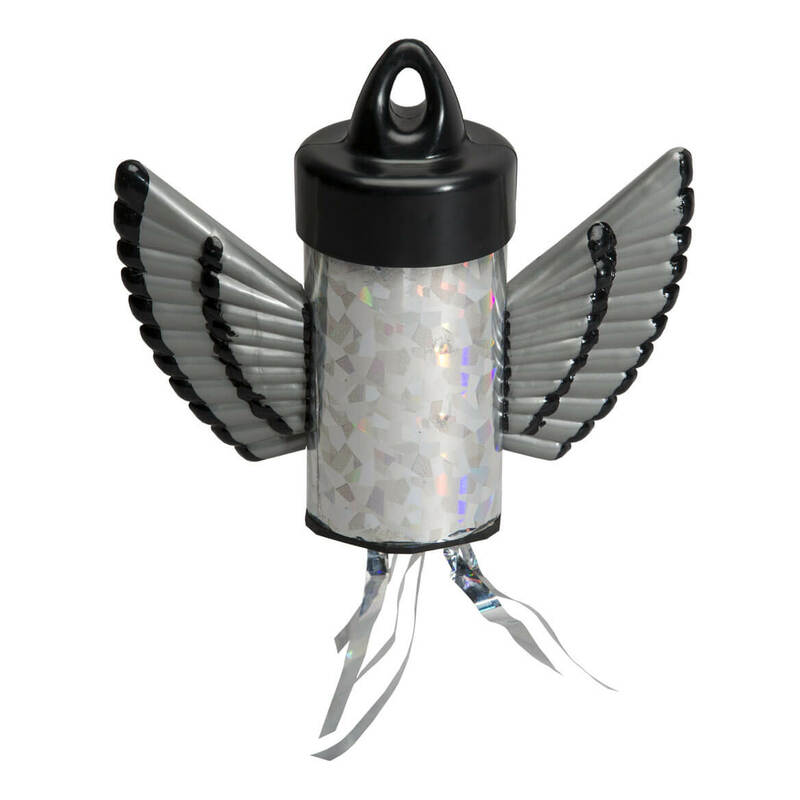 Emitting a strong magnetic force that naturally interferes with a bird’s sense of direction and positioning, this magnetic bird deterrent confuses and disorientates unwanted pests—causing them to take their business elsewhere. For added protection, its holographic surface confuses and scares birds who can’t determine whether it’s moving or still, safe or threatening. The harmless, shiny reflections also bother birds’ eyes, helping keep them away from your garden, fruit trees or landscaping. 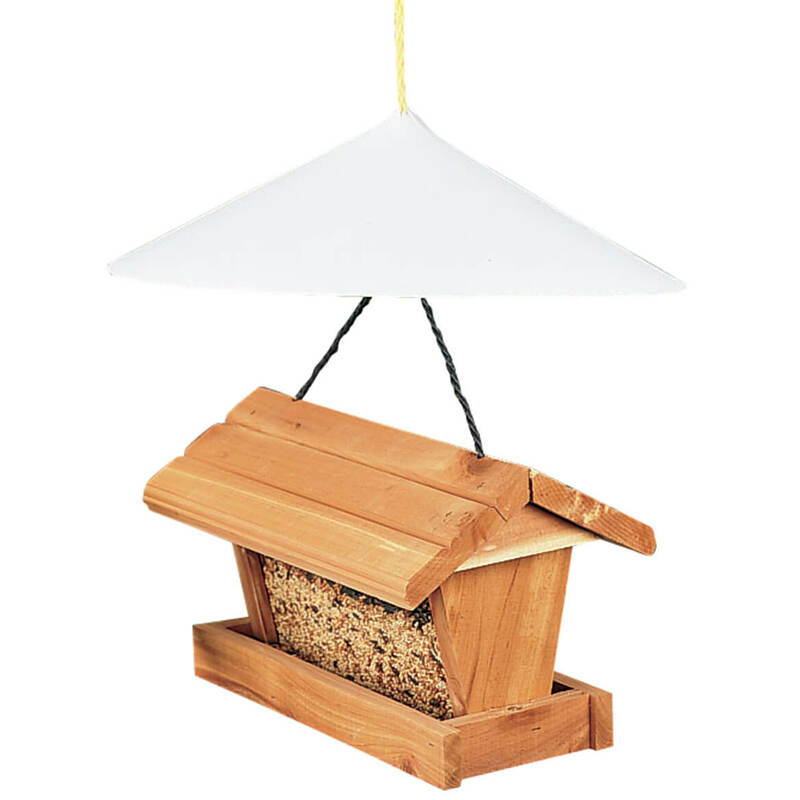 Durable and suitable for year-round use; simply hang this bird repellent wherever you need protection. Plastic; hanging string not included. 6″ long x 6 1/2″ wide. The natural ingredients this squirrel repellent create a scent that squirrels and chipmunks avoid, keeping them off birdfeeders and away from gardens. Just hang a pouch of this bird-friendly squirrel deterrent formula anywhere you need protection. Squirrel chasers come in a set of three. 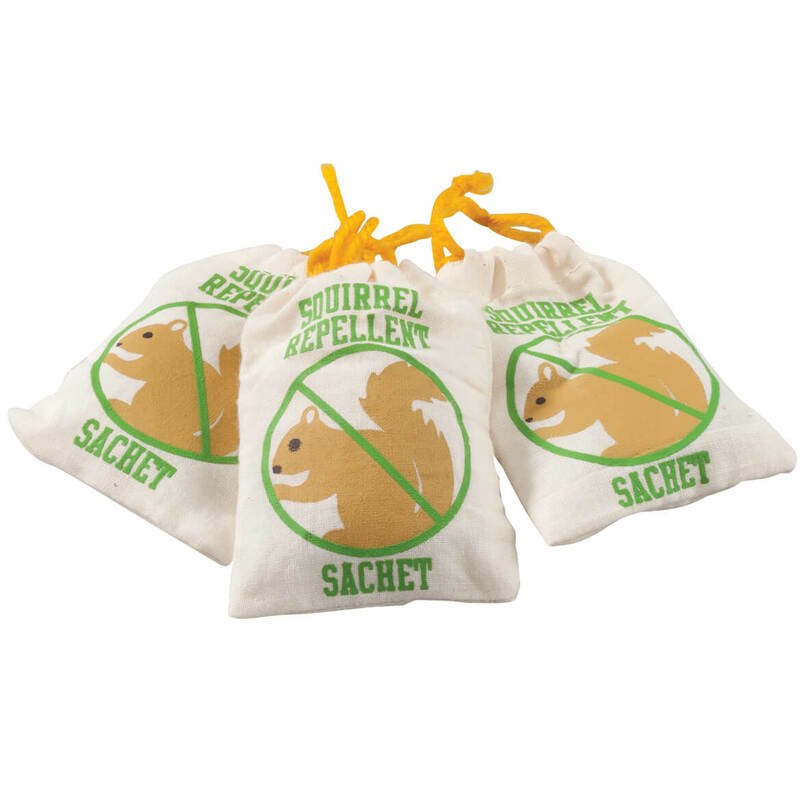 Each natural squirrel repellent measures 2 1/4″ x 3 1/4″. LED mosquito zapping light bulb instantly kills mosquitoes and other pests. Light and bug zapper not only repels mosquitoes, but also renders pests inert with a high-voltage cage. Uses a 9-watt LED bulb that provides 920 lumens of soft white light. Energy-efficient, 40,000-hour lifespan. Plugs into any light socket, indoors and out, giving you illumination and protection on front porches, decks and patios. 6 1/4” H X 3” dia. Uniquely designed to resemble an actual wasp nest, Wasp Scare Hive by Pest-B-Gone™ works naturally—targeting the wasps’ territorial instinct to avoid building a home near a competing colony. A safe, simple way to prevent unwanted guests from claiming residence in your yard, this wasp deterrent works without harmful chemicals or messy sprays. 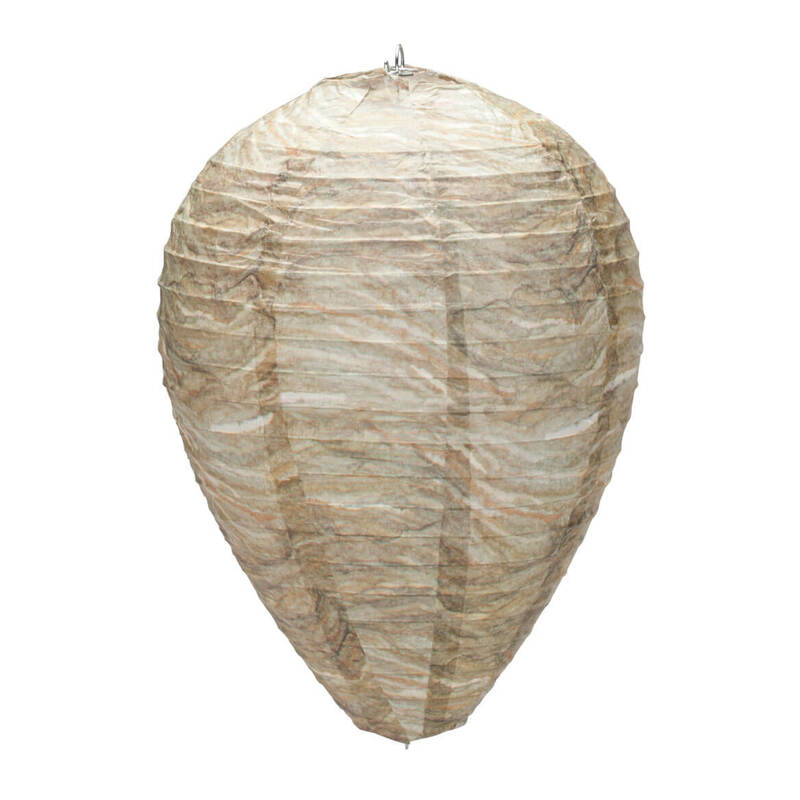 Simply hang the artificial wasp nest from trees, gutters, eaves, canopies or any problem outdoor area. Exclusively constructed by Pest-B-Gone™ in paper with metal hanging hook, the expanding hive collapses for easy storage. Set of 2. Each, 8 1/4″ wide x 12 1/4″ high. This owl reflector keeps garden pests at bay. 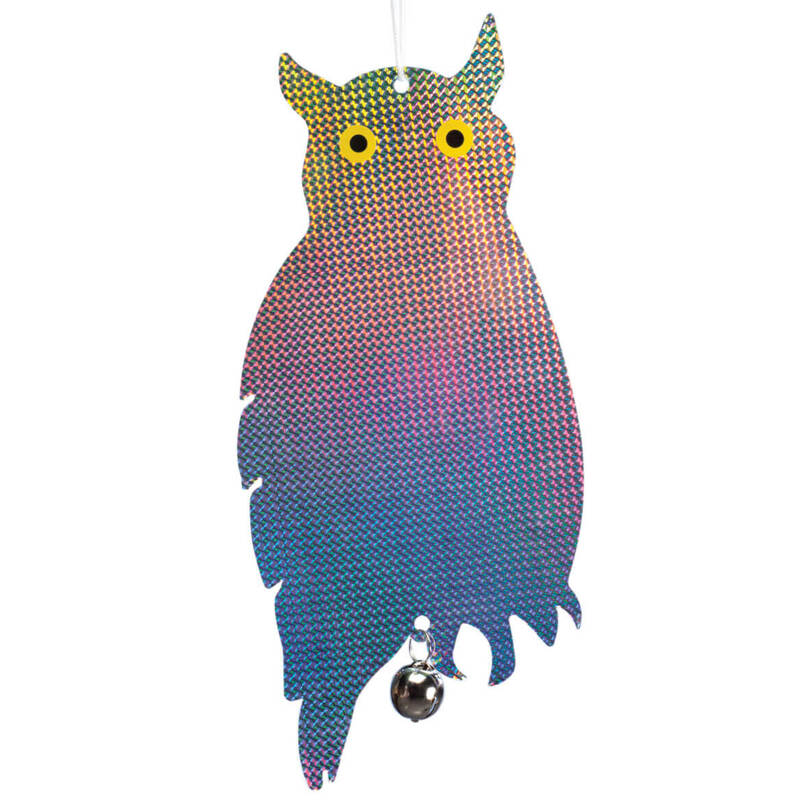 Our owl deterrent is made of holographic mylar. Realistic eyes and shiny prism pattern on both sides create the illusion of motion even in calm weather. Tough Mylar® body, heavy grommets, and spring rings for hanging. Weighted bottom keeps it from flying away. 17 1/4″.